On Monday 5 December 2016, the Arena calendar of events reached its grand final. The popular Arena Christmas Event delivered a day of education, engagement and inspiration, including a fascinating review of the year by insight experts Horizons, an enlightening post-lunch address by Kevin Watson, the Managing Director of Amadeus, and superb hospitality, courtesy of the Jumeirah Carlton Tower Hotel. The Arena 2016 calendar of events reached its grand finale at The Jumeirah Carlton Tower Hotel on Monday 5 December. 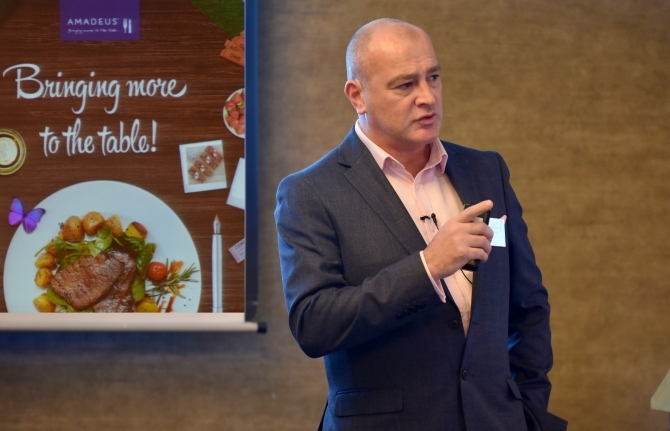 A fantastically upbeat atmosphere surrounded The Arena Christmas Event, which welcomed over 150 foodservice and hospitality professionals gathered for a day of insight, superb food, wine and hospitality, and the opportunity to connect with industry colleagues and friends. Industry experts, Horizons, opened the event with its exclusive annual review of the year and predictions for 2017. 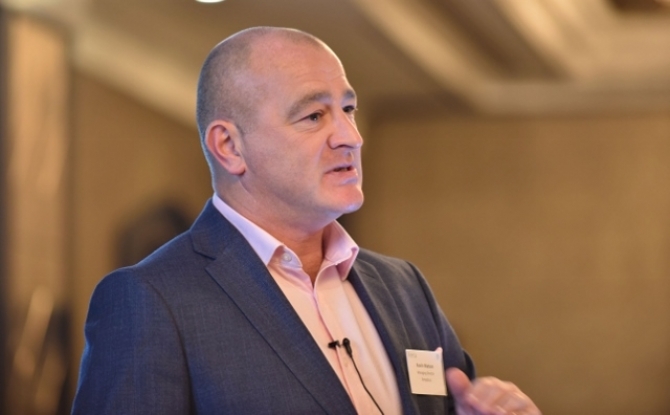 Setting the scene, Peter Backman, Horizons’ managing director, spoke of a year that has seen market growth ‘from Wormwood Scrubs to The Ritz’ and an industry that remains dynamic with opportunities. And, a year in which disruptors, from Brexit to the upsurge of delivery, have started disrupting. We now find ourselves in a period of uncertainty as the details of Brexit are discussed and reported, with no clear direction on what it will look like. Looking back over 2016, the audience was reminded of the notable developments, other than Brexit, including: the health debate really evolved; traditionally retail-focused manufacturers started looking towards foodservice; the advance of delivery (including Burger King! ); consumers eating out more frequently but expecting more than ever; the opportunities opened by the launch of the night tube; the sophistication of BBQ trends; the ongoing merging of day parts and growth of lunch (+2%), breakfast (+5.2%) and snacking (+6.2%); the American election; and the influence of technology, as Zizzi trains staff on Instagram. Looking forward to 2017, the headlines could look something like: consumer loyalty declining in favour of good value (which can be either cheap or expensive but worth it); a decrease in the dominance of casual dining; the volatility of the pound affecting the bottom line as it impacts pricing on equipment, food, fuel etc., however, on the flip side the fall in the pound will continue to bring in more overseas visitors and increase staycations; immigration is likely to be the biggest influence on the foodservice market; ‘Buy British’ could have a resurgence as imports become more expensive; and delivery will continue to change the way businesses work. In his final thoughts, Peter warned of the potential challenges of falling consumer confidence but concluded that for our innovative and resilient industry, it’s always a good year and 2017 will have its successes. With plenty of food for thought, attendees continued the debate throughout the lively drinks reception, where they also had the opportunity to sample delicious canapes courtesy of Invest Northern Ireland and its chosen suppliers, and into the ballroom where executive chef Simon Young and his brigade served a stunning three-course lunch, matched with fine wines by Matthew Clark. Kevin Watson, the Managing Director of Amadeus, entertained and inspired the audience with a post-lunch address that gave a genuine insight into the five-year evolution of Amadeus since he joined the business – growing from a publicly-owned £25m business into a now privately-owned £43m business with a 208% growth in profit. Kevin explained how he stepped into his role as Managing Director following Amadeus’ contract catering for the London 2012 Olympic Games. Although well known that the contract was loss-making for Amadeus, the business remains extremely proud of the role it played delivering catering for the Games. The experience also provided an opportunity for Amadeus to assess both where the business was going right, and where it was going wrong. With a handpicked team that was motivated by Kevin’s vision and style, Amadeus embarked on its strategy to realise its target of becoming a £50m business. The strategy involved two core criteria that employees could identify with and contribute to: firstly, to achieve more transactions, and secondly, to increase spend per transaction. The ‘Service that Sells’ training programme was implemented and launched to support the strategy, with all employees revisiting the training annually to ensure the ethos remains at the heart of the business. To date, £4.3m has been successfully spent in key areas to achieve the ambitious growth target. This includes the development of Amadeus’ people, updating to an EPOS till system, progressive software to enable seamless communication with casual staff and technology to enhance the customer experience, such as the QJacker app for pre-placing orders. Kevin’s management style remained constant throughout the period of transformation – firm, friendly and fair. And it’s showing results – today, as a privately-owned business, Amadeus is growing at pace. In 2015/16 Amadeus has celebrated another year of significant growth by delivering a 7% increase in revenue and a growth of 26% in profit. Amadeus also delivered strong new business growth in the previous financial year including securing £20m worth of revenue over two contracts, Belfast Waterfront and Ulster Hall and Delapre Abbey in Northamptonshire, adding to the total of £25m of new business secured between 2011/12 and 2015/16. As part of his speech Kevin described a few refreshing practices that got the nod of approval from the majority of the audience. Walk and talk Fridays encourage colleagues to physically talk to each other rather than sending internal emails; the senior managers do a total ‘back to the floor’ shift in every venue; and, when on holiday, an out of office reply politely informs that a person is away and therefore their inbox will not accept emails, thus removing the obscene number of post-holiday emails most people dread. Amadeus also ‘auditions’ as part of the recruitment process in a bid to find the very best talent possible. Looking to the future, Amadeus will continue to innovate and grow, both organically and through new contracts. It will also continue to be selective in who it chooses to work with – from clients to suppliers. Amadeus wants to ‘stick to its knitting’, to coin Kevin’s phrase, and stay true to what it is good at, namely adding to the venue experience and driving transaction and spend with great food and service. The team wants to work with clients that share their values – as a quality caterer with provenance high on the agenda, Amadeus will only welcome suppliers that are proud of their products and have clear traceability. As Steve Norris, Arena’s chairman, brought The Arena Christmas Event to a close, it was announced that over £1,000 had been raised for Hospitality Action and Springboard.